There are times when a great deal depends on the decisions we make and which direction we go in. I call these “vitality moments.” Sometimes, when we are in the thick of it, we understand our choices are vital; at other times, these moments are harder to spot. Sometimes we notice important, vital moments only when we look backward, as if in the rearview mirror. We can explore vitality moments within the context of our spiritual search. If we consider some of the myths of great spiritual beings, there is always a vital moment in the story. 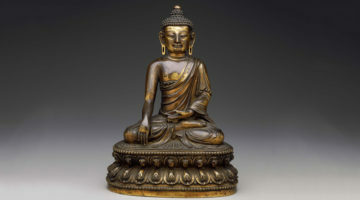 The first that comes to mind is the Buddha, who left the life that he knew and his family and became a renunciant in order to seek the answers to his questions about the nature of human existence. When he came into an unfiltered, visceral relationship with suffering, sickness, old age, and death, he saw that this is how everything ends. His was a universal reaction: as we grow up, at a certain age we confront our mortality and accept that one of the few guarantees life offers is death. 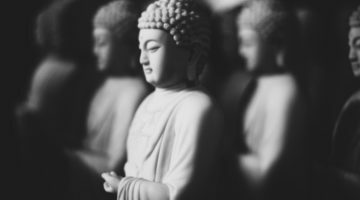 That is when the Buddha had his vitality moment, or turning point, when he recognized some fundamental aspects of the human experience: that everything is changing and that nothing lasts forever. In one sense, vitality moments are an obvious part of living, yet few people experience them in a deep and profound way. It is as if we notice them enough to try to change our focus, to look away, or to think about something else. That is not what the Buddha did; he dove into that great mystery of the unavoidable and inevitable aspect of life, which is suffering. The Buddha’s whole life pivoted on how he responded to this observation. Divine guidance always arises like a whisper. It does not yell, and it does not insist. It is a quiet thing. We cannot hear the whispers of divine guidance until we have embraced where we are. Let yourself know that and rest with it; realize that sometimes knowing what is not working is extremely important, and you do not need to jump past knowing that you do not know. You can let yourself stop right in the middle of the insecurity. Do you relate to life as an unfolding mystery and an adventure of discovery? In the Buddha’s story, when he reached that point, the first thing he did was veer from the renunciant path. He found himself by a river, half-emaciated and starving to death. A woman offered him some milk and later some food, which he accepted — a no-no for a holy man at that time. By receiving this woman’s compassion in the form of nourishment, he had to relinquish his entire world view about what a spiritual seeker should and should not be doing. He had to let himself step outside of the paradigm, but he did not have a plan. He knew that he had not found what he was looking for. Breaking some of the rules of the renunciant life changed the trajectory — whether he knew it or not — of his whole spiritual search. That was a vital moment! It was a vital moment not only for him to know what was not working, but also for him to accept help from the woman. It was a vital moment because it was something the Buddha would not have done before. It was a decision that altered his spiritual life. I imagine he did not know that or understand it at the time; rather, he was following a voice of authenticity within himself in a deep way. 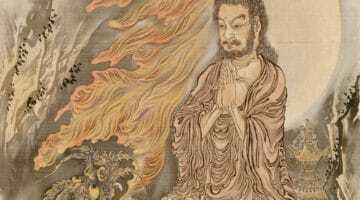 This led to him sitting under the bodhi tree and making his declaration that he would not move until he reached enlightenment, and the story goes on from there. 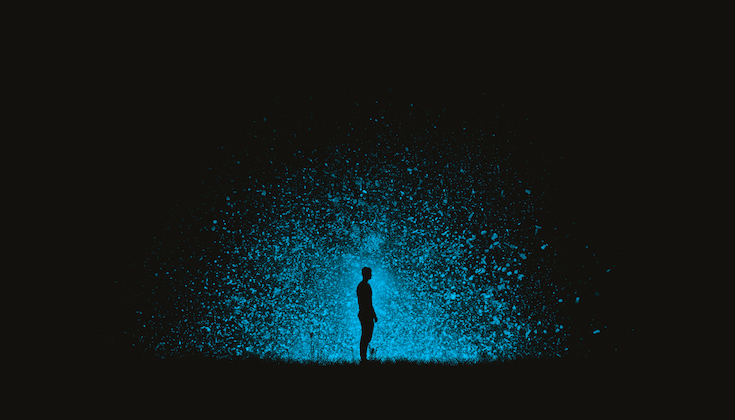 Transformation tends to happen when we stop or something stops us — a tragedy, a difficulty — and we reassess and realize that the way we are going about life must be redefined. Sometimes we will need to redefine our whole identity. This does not just happen to spiritually advanced beings — this is human stuff. These moments occur with some regularity, and if we recognize how important they are, when they come, we can see them as both great challenges and great opportunities. How we respond is important. Do we search for a quick solution, for a quick answer, or for somebody to save us from our insecurity? Or do we find the wherewithal to settle into those moments and meet ourselves, like the Buddha did? We can lean forward into what is occurring, into the human experience or unresolved quality — whether it is doubt, or fear, or hesitation, or indecision, or whatever our pattern is that causes us to not throw ourselves entirely into that moment. We never know when these moments are coming. Some are big, and some are much smaller. We should not assume that the small moments are not as important as the big, obvious ones, because attending to the small moments is the way we build a capacity to attend to the big moments of crisis. It is the reason why most spiritual traditions have various ways of getting us to pay attention to our life, even when nothing significant seems to be going on. This comes from an acknowledgment, a realization that vital moments are current in our life and there are decisions being made — consciously or unconsciously — about how we are going to relate to them. Do you relate to life as an unfolding mystery and an adventure of discovery? An encounter with your immense capacity for wisdom, love, and experiencing life with intimacy and vitality? We have extraordinary abilities as human beings when we begin to recognize the vitality of certain moments and we bring a consciousness to them. These vitality moments happen in our lives with great regularity and are opportunities for awakening and transformation. We must repeatedly embrace the insecurity of these moments and by doing so come to trust them and so ourselves. In these moments, all we need is knowledge of the next step and the willingness to take it. Paradoxically, the knowing of what the next step is arises when we have the capacity to rest in not knowing what the next step is and to recognize this is an intimate part of the process of transformation. 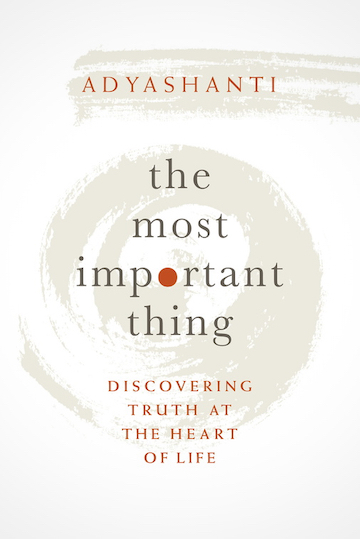 Excerpted from The Most Important Thing: Discovering Truth at the Heart of Life by Adyashanti. Copyright © 2019 Adyashanti. Published by Sounds True. Adyashanit is an American-born spiritual teacher devoted to serving the awakening of all beings. His books include Falling into Grace (Sounds True, 2013), Resurrecting Jesus (Sounds True, 2016), and his new book, The Most Important Thing: Discovering Truth at the Heart of Life (Sounds True, January 2019). He lives in Northern California. Visit adyashanti.org.